Still feeling perhaps a little stupid following his disastrous One Show appearance on BBC 1 in the UK a couple of weeks ago, (watch it here) in which the action star Bruce Willis appeared vague, bumbling and incoherent, his alter ego John McClane is nonetheless raking in good box office takings in his new movie A Good Day to Die Hard. Watchuseek cinema goers will no doubt quickly home in on the timepiece that Willis wears in the film, a Hamilton Jazzmaster Viewmatic. Not to be outdone, Actor Jai Courtney, who plays McClane’s estranged son, sports a Hamilton Khaki X-Patrol. Hamilton have enjoyed starring roles in more movies than most watch brands including legendary movies such as Stanley Kubrick’s 2001: A Space Odyssey and Men in Black, the previous Die Hard movie and 2007′s Live Free or Die Hard, in which Willis, as McClane, also wore one. Then there are around 395 other appearances in movies over the decades. 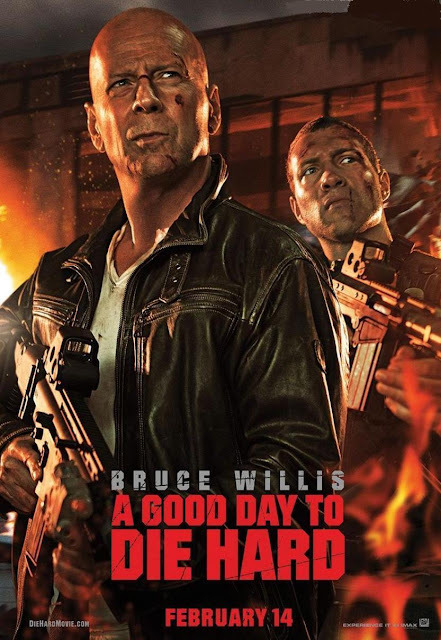 In the latest adventures of ageing cop John McClane, the tough New York City cop travels to Moscow to come to the aid of his son, Jack, who has landed himself in a spot of trouble by working for the CIA. The pair of them dodge more bullets and leap off more buildings than there are moving parts in most watches as they battle the Russian underworld and try to prevent a terrorist initiated nuclear war. It's subtle product placement on the part of Hamilton, which they know will not be lost on watch lovers, despite the distractions of a non-stop wreck-fest of cars and buildings which occurs regularly and spectacularly throughout the movie. 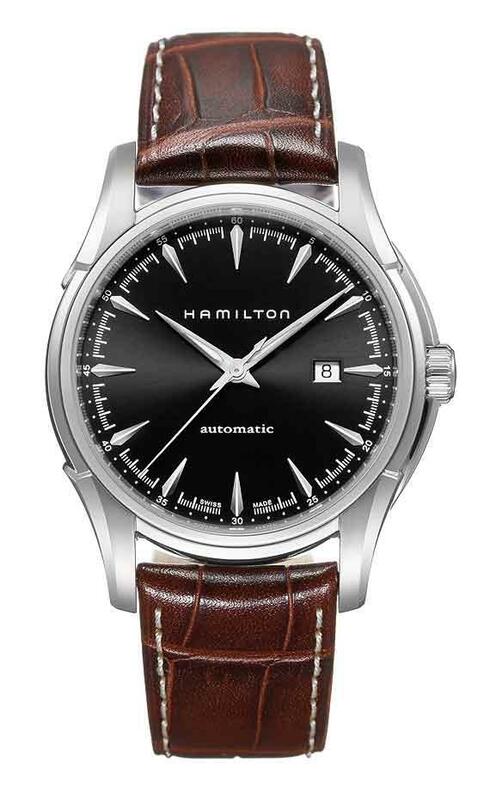 The Hamilton Jazzmaster Viewmatic has a 44-mm stainless steel case, and is water-resistant to 100 metres. It comes with either a black or silver-coloured dial on a choice of either a brown, stitched leather strap or a stainless steel bracelet, and is powered by the ever faithful ETA 2824-2 automatic movement. The cost is around $795. 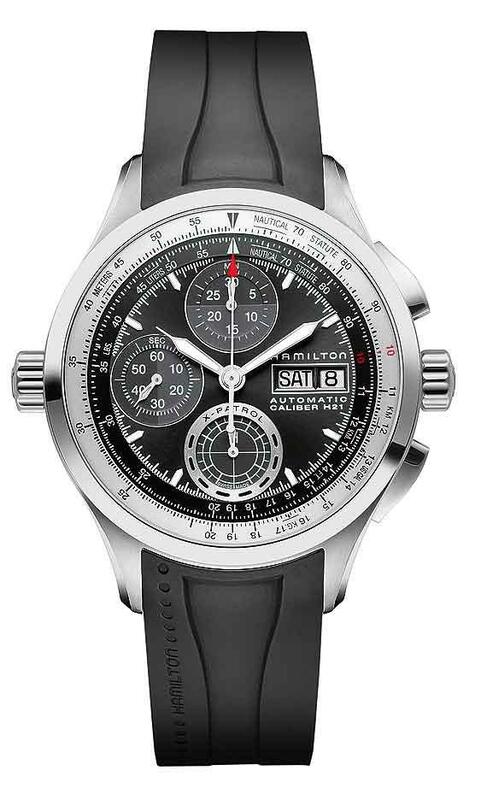 The slightly smaller Hamilton Khaki X-Patrol features a 42-mm stainless steel case, water-resistant to 100 metres. It has a black or silver-coloured dial and is available with either a black stitched leather or black rubber strap or a steel bracelet. 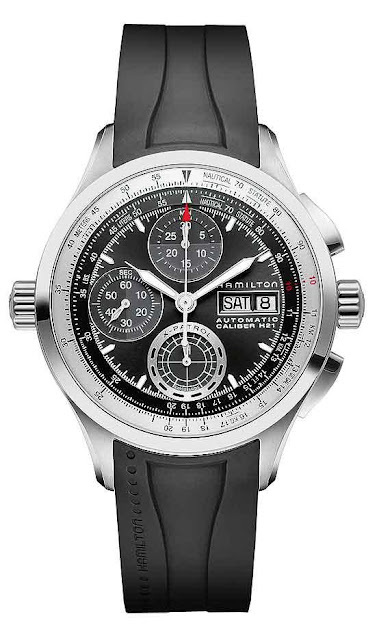 The watch is powered by Hamilton’s H-21 chronograph movement and retails for $1,695.